Kralendijk- The way the yearly so called ‘free allowance’ for the BES-islands is calculated, is not very favorable for the 3 public entities and differs from the way from the annual adjustment of Dutch municipalities is calculated. The annual adjustment of the BES fund, and thus the free allowance is based on a current indexation figure a public body separately. Inflation on public bodies was low or negative in 2015: -0.9% Bonaire, Sint Eustatius and Saba -1.0% + 0.4% (source: CBS). About 2016, the inflation rate was low, or almost zero: Bonaire + 0.5%, -0.1% and Saba Statia + 0.1% (source: CBS). In 2016 there has been no adjustment of the free allowance, public bodies will receive about early 2017 written notification of the Interior. Given the low inflation in 2016 is based on the current system also does not expect any adjustment of the free allowance in 2017; in the 2017 budgets of the public bodies is therefore also not assume an adjustment. The adjustment of the Dutch municipal is however carried out on a combination of wage and price adjustment. An increase in expenditure due to wage and price increases offset by the corresponding adjustment. 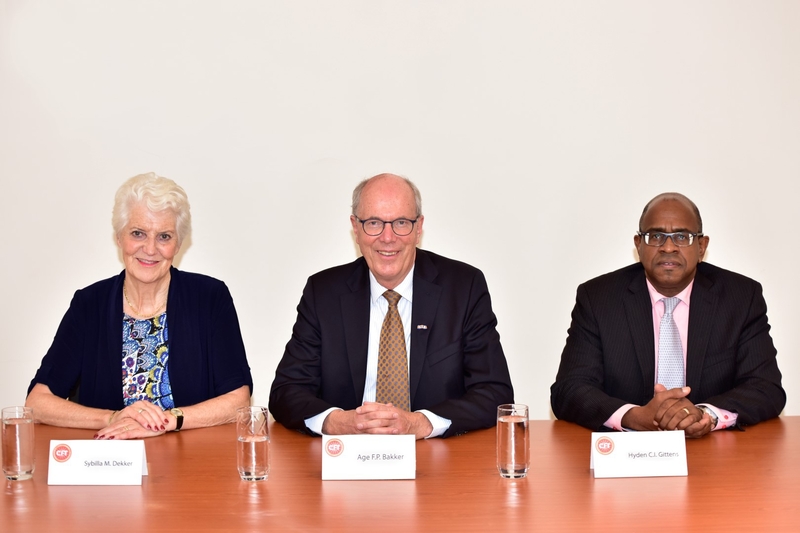 Given the new collective agreement concluded in 2016, the CAO system for National Caribbean Netherlands followed, public bodies saw himself confronted by mid 2016 with an increase of approximately 4% of the labor costs. Since labor costs a large part of the total expense is for public bodies, particularly Saba and St. Eustatius, given their small size, proven a major challenge to absorb this increase at a constant free allowance in fiscal 2016. This task is difficult because no action was taken on the recommendation of the order of the minister in 2015 issued Opinion Research BES maintenance fund to increase the free benefit for not budgeted amounts and walk statutory duties. CFT feels that the arrival of a new government could provide an opportunity for the Interior and the public bodies to discuss a possible change of the adjustment of the BES fund making it not only based on inflation (price revision) but also based on the actual wage developments (wage adjustment). In addition, it is important to also stand still at the time when such an adjustment will take place in such a manner during a calendar year that an adjustment can be processed during the year in a budget amendment.